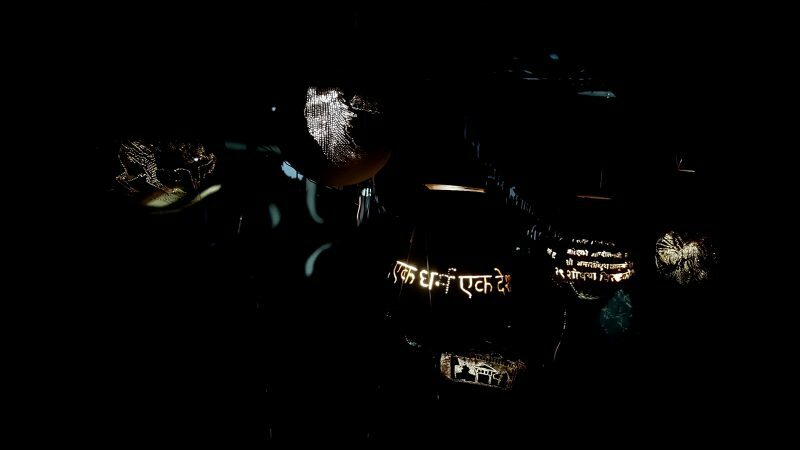 For hundreds of years, the mainstream historical narrative of Nepal has excluded the stories and experiences of numerous marginalized, underprivileged and indigenous communities. Although there have been sporadic instances of vocal demands and protests for an equal representation of diverse identities, cultures, languages and religions, the state has consistently and strategically oppressed them. 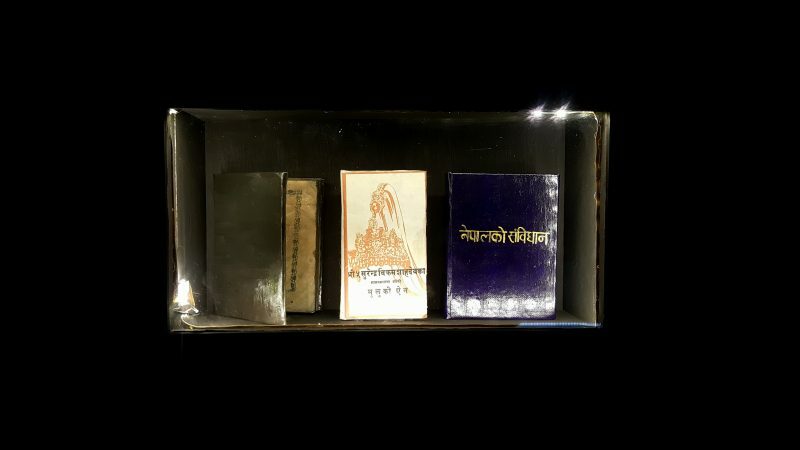 Artist Subas Tamang’s installation art ‘Mahendra Mala’ delves into the chapters of the Nepali book of the same name that promoted a single religion, a single language, and a single culture. 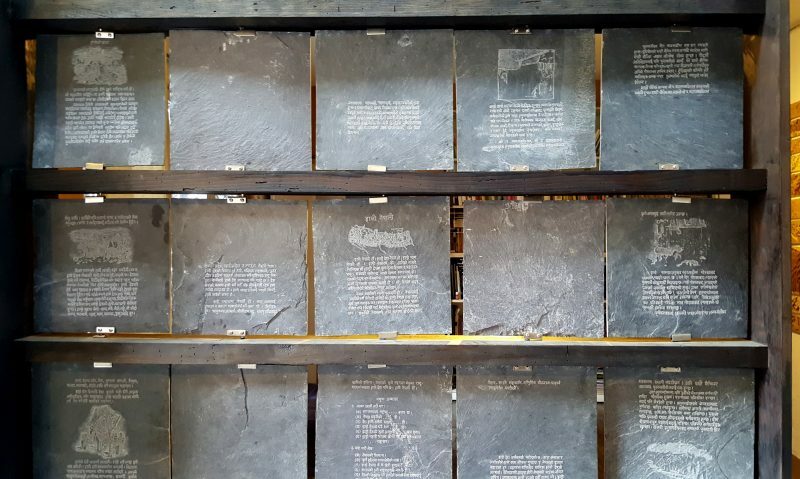 He has minutely carved the chapters on slates used for roofing in rural areas. The slates can be flipped around and they have chapters from the book on one side while the other sides make up the name of the book. 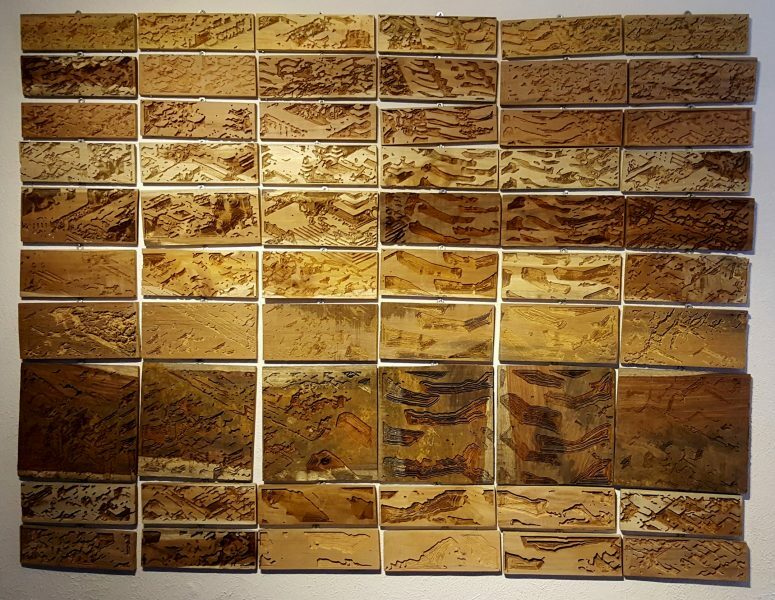 In ‘Death of Civilization’, Bikash Shrestha has carved the Basantapur Durbar Square on pieces of wood and bulldozed parts of it with huge tyre prints.